Troll Boat | FISHING FURY - A Fishing Blog with Attitude! This crazy boat re-defines trolling. This unusual creation is designed by artist Julien Berthier and is just one of many odd creations he has done. 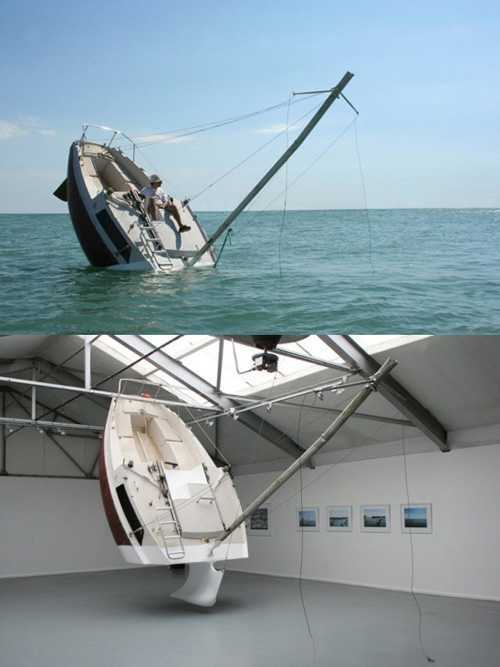 The boat, named Love-love, looks like it’s sinking, but actually has a motor that makes it fully functional. No word on how it maneuvers, but I’m guessing not terribly well!